For 150 years researchers have been unsuccessful in unearthing the remains of the French settlement known as Fort Caroline. 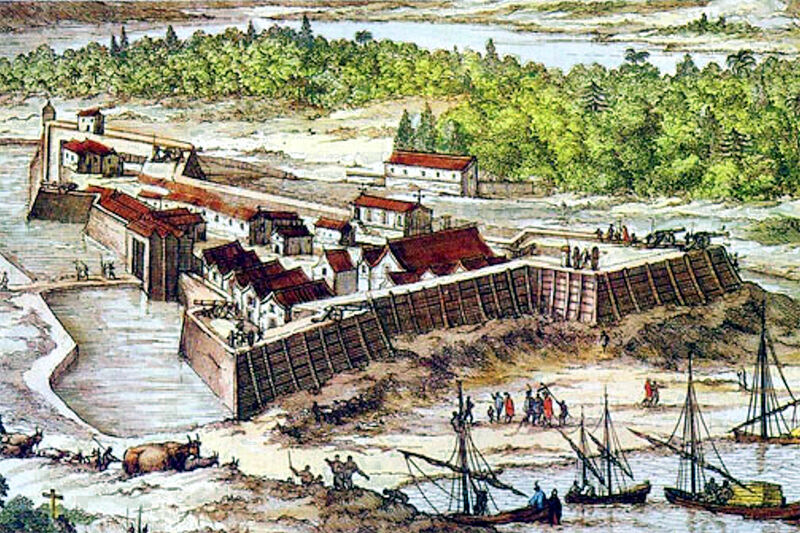 A new analysis of Spanish and French written, eyewitness accounts of its location and description of the rivers, geography and Native American tribes in its vicinity has revealed that the fort was located along the Altamaha River near Darien, Georgia not the St. John’s River in Jacksonville, Florida. Although academic consensus holds that this early French settlement was located in modern Jacksonville, Florida, no physical evidence for the fort has ever been found despite numerous archaeological investigations. This new analysis suggests these researchers have been searching in the wrong place. The St. John’s River does not flow south to the coast from the Appalachian Mountains. Nor are there any known gold deposits at the source of the St. John’s River. The Altamaha River does, in fact, flow from the Appalachian Mountains via its tributaries the Oconee and Apalachee Rivers. There are also known gold deposits in these areas. In fact, America’s first gold rush occurred in this region of Georgia. Thus French accounts place the fort on the Altamaha River in Georgia not the St. John’s River in Florida. A Spanish league was approximately 2.8 miles thus traveling fifty or sixty leagues up the St. John’s would take one to Orlando, Florida. It certainly wouldn’t take one to the west coast of Florida where a 1625 map placed the Tocobago as living at the mouth of the Chattahoochee/Apalachicola River system. Yet if one followed Fontaneda’s directions west on the Altamaha River they would arrive in the Big Bend area of its tributary the Ocmulgee River near modern day Jacksonville, Georgia (not to be confused with Jacksonville, Florida.) From here one could easily travel west to reach the Chattahoochee River. Additionally, Fontaneda stated the Province of Utina was located here at the river’s westernmost point. The Spanish did build a mission to the Utina and scholars place it near modern-day Jacksonville, Georgia. No mission to the Utina was ever built along the St. John’s River in Florida. Thus this Spanish eyewitness written account further supports the Altamaha as the River of May/River San Mateo where Fort Caroline was located. According to Spanish accounts, the original Fort St. Augustine was burned by local Indian tribes a year after its founding and the settlement was moved far enough away to be safe from these tribes. 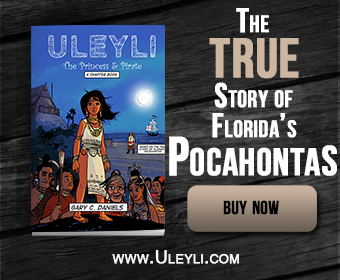 According to French accounts the original Fort St. Augustine was built near an Indian town named Seloy. All maps from the 1600s show this town as being located on the north side of either the St. Mary’s or Satilla Rivers with the Satilla being the most likely candidate. If this was the case then Menendez’s account of taking a circuitous route to avoid swollen rivers would now make sense since there are multiple rivers and creeks between the north bank of the Satilla River and the Altamaha River. This location would certainly match the eyewitness written accounts of the location of Fort Caroline. Only two other forts are known to have been constructed in the area, Fort King George and Bachelor’s Redoubt and these had only been abandoned for a few decades when Bartram visited so it’s unlikely they would have been confused with old forts built by the French or Spanish. 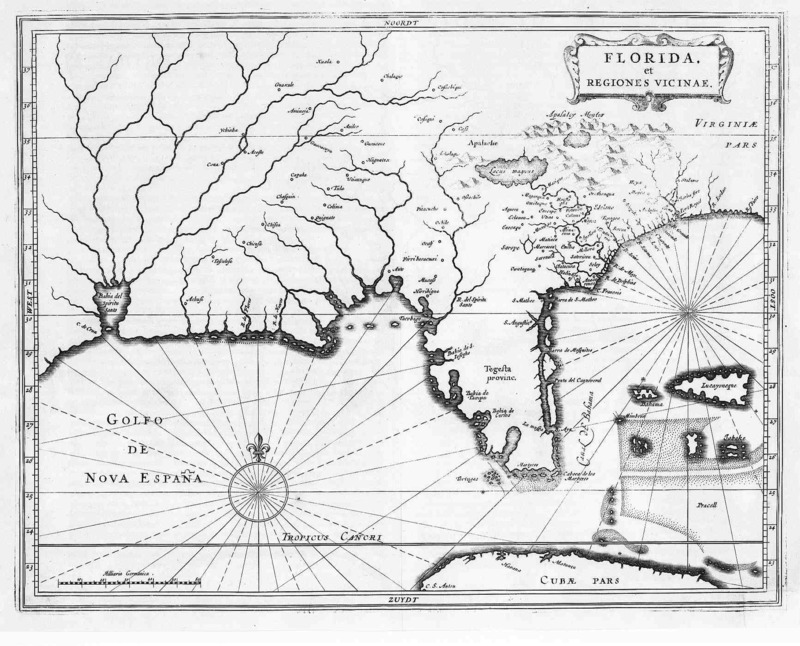 Based on these eyewitness written accounts it is nearly impossible to find a way to make them fit the geography of northeast Florida where current academic consensus places both Fort St. Augustine and Fort Caroline. The only location that fits all these accounts as well as period maps of the location of Fort Caroline is the Altamaha River. Perhaps instead of continuing to conduct archaeological investigations in Florida without producing results, the researchers could conduct a few simple shovel tests in locations along the Altamaha River using the Bartram account as a guide.